Finally! Michael Kors has designed some of the most beautiful clothes, bags, shoes and watches; it was only a matter of time before he made his mark on the jewelry world. 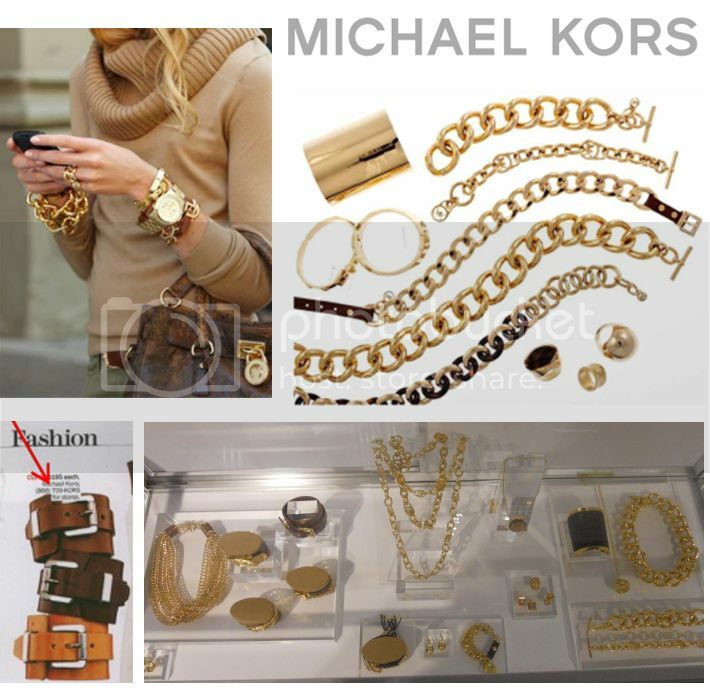 MK’s jewelry line officially launches tomorrow on the Michael Kors website. 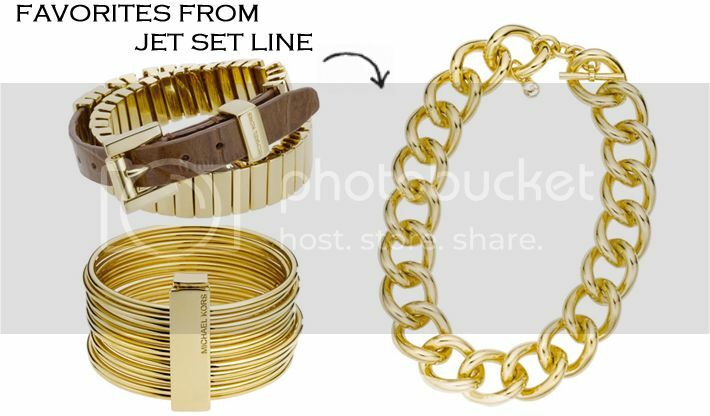 I’ve been eyeing these gold pieces from his “Jet Set” line for awhile now. There’s also a silver line with a more urban, modernist appeal. Take a look here and be one of the first to show off your favorites from the Fall 2011 line. The jewelry looks amazing! Thanks for posting. I haven't seen these yet, but definitely loving! I love these all stacked together! that girl's arm party is awesome! goodness!! i was just a MK this past weekend & did NOT see this! Must go to site now….love MK. duh…i missed the part where you said it launches tomorrow…going to site now!